Ground venison recipes can be made and is better flavored using the tougher parts of the deer meat. Most of the characteristic venison flavor is concentrated in the fat of the deer meat; the fatter areas being the more tender areas. This fat is where the typical gamey flavor lies; some people don’t mind this “gamey” flavor but most do. My dad always would soak the wild meat and game in salt water or a marinade to get rid of this taste. Ground venison recipes are basically the same type of recipes when using ground beef. The biggest difference is that most ground beef has a certain percentage of fat in it. The beef fat is mild and actually adds great taste to the meat. The fat in venison can have very strong flavor depending on what type of weeds and grasses that the animals have been grazing on. Actually some of the ground beef with a high percentage of fat is much cheater to purchase and in many recipes like my salami, this is what I like to use. The venison could not be used in such ground venison recipes like these due to the strong taste but is still a good way to use the deer meat. These ground venison recipes can be flavorful and delicious but precaution must be taken not to dry the meat out when cooking. A simple way to do this is to add a little oil to the cooking. Spices always compliment the wild taste of deer meat. The following recipes are samples of how good this meat can be when cooked correctly. This is one of the best ground venison recipes with authentic Mexican flavor. Put cooking oil in large skillet and add ground meat and garlic; stir and cook until meat crumbles. Stir in chili powder, salt and pinto beans and mix well. Place scoop of mixture down center of each tortilla; roll up and place seam side down in baking dish. Top with following sauce, sprinkle with cheese and bake 25 minutes. Combine vegetable oil, garlic, green pepper and onions in a large skillet over medium heat; sauté until tender. Add flour stirring until well blended; gradually stir in broth. Add tomatoes and stir until mixture comes to a boil. Add chilies, salt, pepper and cumin; reduce heat and simmer for 10 minutes stirring occasionally. These deer meatballs is one of the delicious ground venison recipes which can be served as an entrée with potatoes and salad, it works very well as an appetizer to serve at parties or just as a family snack. Combine all ingredients (mixture will be soft); shape into walnut size balls. Place meatballs in a single layer on wax paper lined cookie sheet; freeze until solid or ready to use. When meatballs are frozen, store in freezer bags. Combine and mix all ingredients; stir until sugar is dissolved. Place frozen meatballs in a greased 9 X 13 inch baking pan; pour sauce over frozen meatballs. 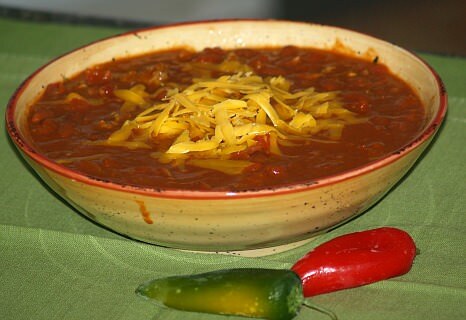 The flavors in chili go well in ground venison recipes; the spiciness diminishes some of the wild game taste. In a large pot crumble meat into water. Add tomato paste, 2 chopped onions, vinegar, Worcestershire sauce, garlic, chili powder, bay leaves, cinnamon, allspice, cayenne peppers, cocoa powder, beans, salt and pepper. Stir well breaking up all meat before it cooks; cover and simmer 2 or more hours stirring occasionally. Serve with grated cheese and chopped onions. This giant burger makes a great presentation for ground venison recipes. Combine onion soup mix, ground venison, relish and ketchup in a large bowl. Divide into two parts and shape into two large burgers size of bread loaf; brown each in skillet on both sides. Top one venison burger recipe with cheese, bacon and tomato; top with other venison burger. Keep on warm heat allowing cheese to melt. Cut bread in half horizontally; place double burger between halves. Top venison burger with pickles, onions etc. To serve cut into wedges. Brown ground venison in cooking oil; add onion, garlic, chopped tomato and sauté with meat. Add to mixture beans, taco sauce, chili powder, black pepper, cumin and salt; blend well. Serve mixture with taco shells and bowls of toppings. Taco recipes and nacho recipes are great to add to your ground venison recipes; again, these spices do nothing but enhance the flavor of deer meat. Cook meat with oil; drain excess oil. Pile nacho chips on baking sheet; sprinkle drained meat over nachos. Sprinkle drained beans over meat; sprinkle drained green chilies over beans. Top chilies with shredded cheese; top cheese with chopped jalapeno pepper. Bake in oven 5 minutes or until cheese melts.